A pic going viral online shows Derek at the hospital. A young boy from Mizoram has won the Internet over with his innocence and empathy. 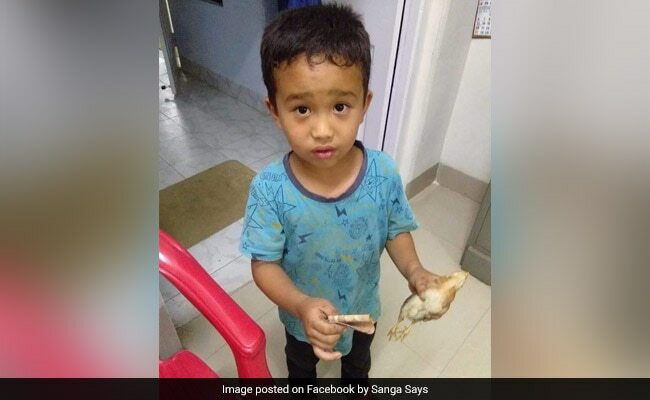 Derek C Lalchhanhima from Sairang, all of 6 years old, has gone viral for trying to help a chicken that he accidentally ran over with his bicycle. A post which shows him with the chicken in one hand and a ten-rupee note in the other has gone massively viral online, collecting 1-lakh reactions and more than 10,000 comments. 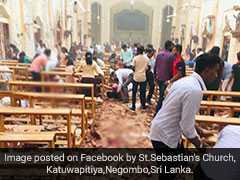 The post was shared online by Sanga Says, who tells NDTV that it was Derek's father who first told him about the incident and shared the picture with him. "According to the father, the boy came home with the neighbour's chick that he had accidentally killed," Mr Sanga tells NDTV. "He did not understand that the chick is dead and begged his parents to take it to the hospital. His father told him to go himself, which he did with ten rupees," he says. It was at the hospital that a nurse, taken in by the young boy's innocence and humanity, clicked the picture that is now being shared widely online. Mr Sanga adds that Derek came back from the hospital sobbing, vowing to help the chicken and go back to the hospital - this time with a 100-rupee note. "His parents finally had to explain to him that the chick is dead and that there's nothing they can do at the hospital." On Facebook, Derek's act of kindness has won many hearts. "God bless his pure and honest little heart," writes one person in the comments section. "This is heart-touching" says another. As news of his kind act spread, his school decided to honour him. A photo shared today by Mr Sangha shows Derek with a certificate of appreciation and a shawl draped on his school uniform. In fact, it wasn't just netizens but even Derek's own parents who were surprised by his compassionate reaction. Mr Sanga tells NDTV that his father, Dhiraj Chhetri, a cop posted in Sairang, was surprised to see his son act the way he did. "He's always been a rather unique kid," says his father.